The American Marten has played an important role in the legends of the Mi’kmaq people and continues that role today as an indicator of forest health. UINR–Unama’ki Institute of Natural Resources– is releasing a new book and video that look at the Marten’s role as it relates to the health of our forests. “Apistane’wj and the First Pine Trees” is a short video told in three languages, Mi’kmaq, English and French, narrated by UINR’s Mark MacPhail and Serena Paul, with Parks Canada’s Monique Cantin. 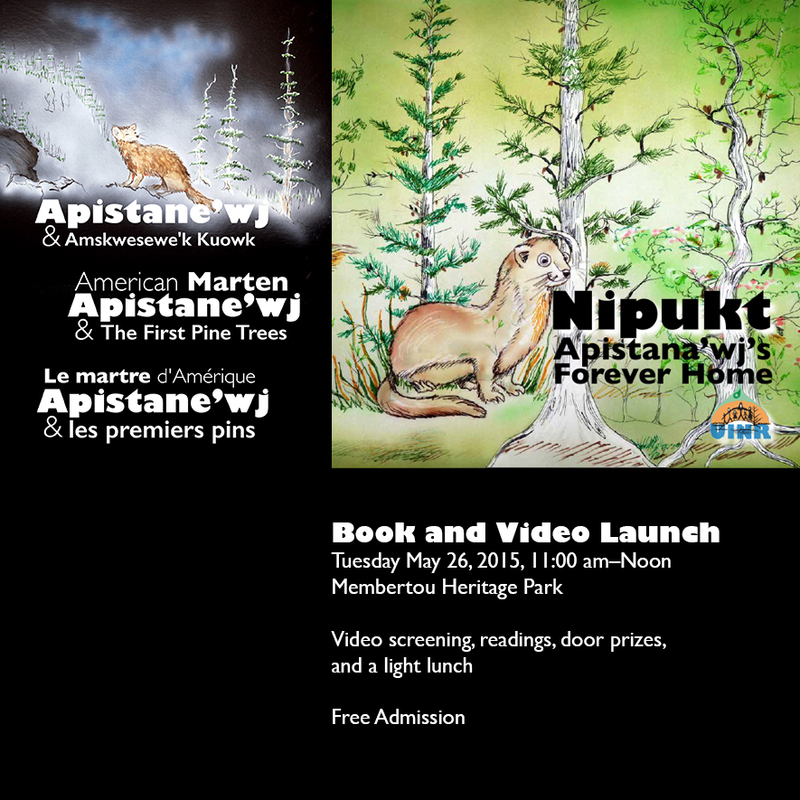 “Through storytelling and original drawings by Dozay Christmas, the video “Apistane’wj and the First Pine Trees” brings to life the legend of the first pine trees and the Marten’s role in helping Kluskap make this happen,” said Lisa Young, Executive Director of UINR. The official launch event will include a light lunch, refreshments and doorprizes. Free copies of the book will be available for everyone who attends. Following the release in Membertou, the book and video will be available as free downloads on uinr.ca and on the UINRtv channel on YouTube. Unama’ki Institute of Natural Resources represents the five Mi’kmaq communities of Unama’ki and addresses concerns regarding natural resources and their sustainability. Parks Canada works to ensure that Canada’s historic and natural heritage is presented and protected for the enjoyment, education and appreciation of all Canadians, today and in the future. Through a network of 44 national parks, 167 national historic sites, and four national marine conservation areas, Parks Canada sets the stage and invites Canadians, as well as people from around the world, to engage in personal moments of inspiring discovery of our treasured natural and historic places. MK–Mi’kmaw Kina’matnewey is a unified team of chiefs, staff, parents, and educators who advocate on behalf of and represent the educational interests of our communities, and protect the educational and Mi’kmaw language rights of the Mi’kmaq people. MK works on improving the quality of education for Mi’kmaq people, remaining vigilant in maintaining and revitalizing the Mi’kmaq language.